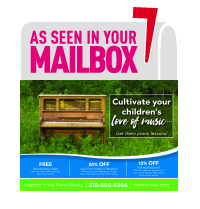 My daughter has been taking lessons with Nicole for two years now and we absolutely love her and the Simply Music method. I took piano lessons when I was younger and was frustrated by the traditional methods of learning to read music at the same time you try to get your fingers to do what you read. With Simply Music my daughter could play a song at her first lesson and more importantly experienced the joy and sense of accomplishment of learning to play it. I also really appreciate that singing is a component of learning piano. When I think of practical uses for piano, I imagine my daughter being able to play songs on the keyboard and sing along to them at parties or family get togethers. Nicole taught one of our favorites Let it Be and now my daughter can play and sing it for her family and we all join in. Music is about joy and bringing people together!